DURBAN, KWAZULU-NATAL, SOUTH AFRICA – The wife of South African batting ace Hashim Amla has just given birth and sent shockwaves through the medical world. Little Hamzah Asadullah Amla, now only three hours old, was born with an unusual appendage: in addition to the expected 10 fingers and 10 toes, he exited his mother’s womb wielding a Gray-Nicolls Quantum Carbo junior-size bat. Attending obestetrician, Dr. Marlene de Beers, MBBS, FRCS was floored by the shock of seeing the cricket-ready newborn and could complete the birth procedure only after having an IV line placed in her own arm to restore fluids and electrolytes. Baby Hamzah and his mother are resting in good health, and Hamzah will be studied by leading experts from the Royal College of Medicine. The Quantum Carbo bat that baby Hamzah was born with retails for £130 (US $199) in London but going beyond mere price, it is a wonder how the bat was in the womb for nine months. Even Mrs. Amla paused to reflect on it. Baby Hamzah was last seen in the nursery scraping his right foot on his crib’s blanket in what appeared to be a guard-marking motion before looking around at the other neonates’ cribs in an effort to locate the gaps in the room. 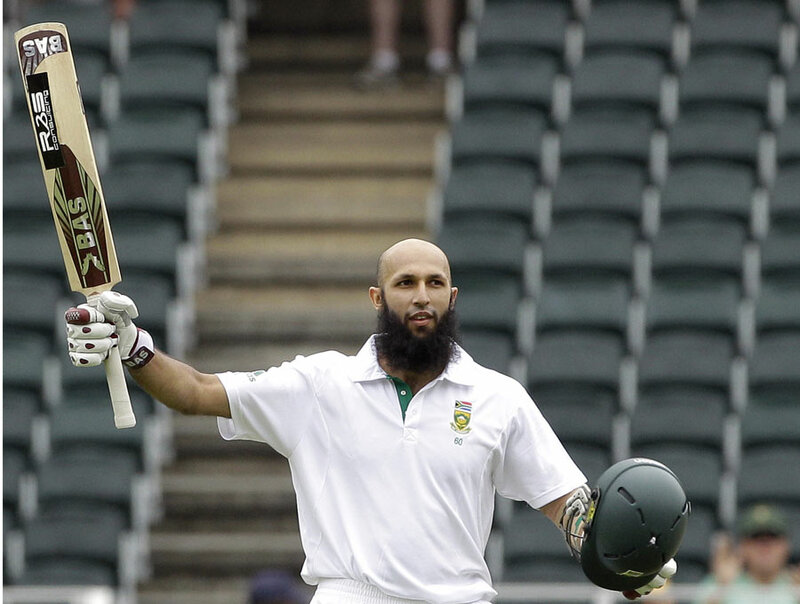 In related news: Congratulations to new father, Hashim Amla! “It’s a special time for Hashim and his family… hopefully the young one can hold a bat like him one day, South Africa could do with another Hashim Amla in the future,” Proteas ODI captain, AB de Villiers said. WASHINGTON DULLES INTERNATIONAL AIRPORT, 7:33 pm. Nine hours after landing in the United States, the Bangladesh cricket team remained in a quagmire of passport verification and questioning by border control officers. While opener Tamim Iqbal was the first to clear customs and make his way to an Auntie Anne’s kiosk for a helping of buttered pretzels, his teammates were subject to a barrage of questions comparable to a new-ball spell on an English greentop. Down with celebrating like an airplane. To clarify: NOT celebrating the airplane going down. It’s possible that this textbook example of ethnic profiling could have been avoided had Bangladesh included their token Hindu spinner, Sachin Choudhury, in the touring party. Due to continued questioning by Homeland Security agents, pace bowler Shafiul Usama bin Caliphate al Islam was not available for comment. SYDNEY CRICKET GROUND, Tea on Day 3. 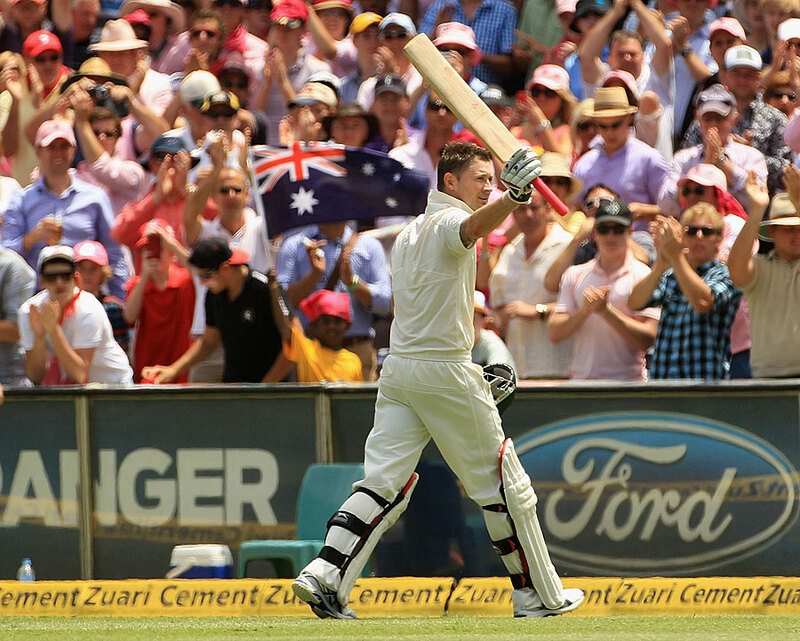 Australia skipper Michael Clarke put on a batting clinic to the delight of his home crowd, crossing 300 runs shortly after lunch to put the Aussies firmly in control of this Test match. Michael Hussey joined the runfest with his own century to go alongside Ricky Ponting’s 134 compiled over the first two days. With Australia declaring at 659/4 in response to India’s 191, the question now arises: Can Australia complete the double innings victory? Before the match, India opener Virender Sehwag offered his thoughts on the attack they’d be facing after India were dispatched in the Boxing Day Test. “We are slow starters in overseas series. Now that we’ve got our feet under us, you will see, the Aussie bowlers are too ordinary to take 30 wickets.” If the Australians can bowl out India on day 4, they could certainly look to surpass their memorable victory on this ground four years ago by bowling out the Indians for a third time on day 5 before their cumulative score reached 659. Clarke, however was unfazed by Sehwag’s defiant tone. “I spoke to the umpires, who in turn consulted with the MCC back in London. The MCC tells us that if we bowl India out on day 4, we could revolutionize the game if we bundled them out on day 5, too.” News of the MCC’s consent may come as a surprise to those who view ye olde Marylebone as staid keepers of the games traditions. The MCC, however, were astonished that India were losing by even bigger margins than on their latest tour of England, and welcomed the prospect of cricket’s first ever double innings victory. “The Indian fans were quite incredibly full of it, continuing to blather on about #1 ranking this, Tendulkar that, how Zaheer would own Anderson, et cetera, et cetera,” stated MCC spokeswoman, Blair Smithfield. “We welcome the opportunity for utter humiliation of Test cricket’s most frugal fanbase, even if it’s the evil Australians applying the beatdown,” she concluded.